In my original post in this series (http://bit.ly/2v8mXJm ), I listed the 10 critical skills you will need to prepare yourself to succeed in the coming upheaval in the job market. Today I want to discuss number 8 on the list, Service Orientation. Why is Service Orientation so Important? Service Orientation may be the most difficult of the skills to describe. Yet in many ways, it is the most important of the 10 skills even though it’s number 8 on the list. As a Freelancer, you don’t just want clients that are satisfied; you want clients that are loyal. What’s the difference? Loyal customers call you first. Before they talk to anyone else. Service orientation is a customer first approach. It’s a mindset. This isn’t a skill to be practiced; it’s a lifestyle to be lived. Think about Nordstrom’s. They became famous because their gift wrapping department would wrap gifts purchased at other stores. Or, Disney, whose “cast members” sole function is to make sure their “guests” enjoy themselves. I spent 20 years training Mortgage Loan Officers how to build a business based on personal referrals from Realtors, builders, and previous clients. Service orientation was the most important quality determining their success. Here’s what it takes to develop a loyal client. First on the list is a high degree of empathy. Put yourself in the client’s shoes. You need good listening skills. Find out not only what the client wants, but why they want it. Have patience. Be sure you hear them out. Be interested in your clients as people. Find out as much as you can about them. Why do they love their industry? How did they come to be involved in your project? Where do they go from here? My experience is most people love to talk about themselves, especially if they are passionate about their work. Practice exceptional follow through and follow up. As a Freelancer, you may be acting as a go-between for two or more clients. Make sure all are not just satisfied, but pleased with the outcome. Make follow up calls a week, a month, a quarter, and even a year after completion. It’s a good way to get feedback on your project in order to improve your performance the next time. It’s also a great opportunity to ask for more business. My father was a commercial builder. He made constant follow up calls to clients with finished jobs. If something was wrong with one of his projects, he didn’t care how long ago the job had been completed. He’d fix it. No charge. Guess why his clients called him back again and again? People like to do business with you when you can make it easy for them. Here’s a hint. Don’t make it easy, make it effortless. When I was in mortgage banking, our Loan Officers would get a referral from a Realtor. They’d interview the applicants, and if they were qualified, the deal closed in 10 business days. Do you think Realtors liked sending us business? Where Can I Learn About Service Orientation? That’s actually a hard question to answer. When you search online you will find a lot of sites that are IT oriented. The best sources appear to be books. Jeffrey Gitomer has a great book titled Customer Satisfaction is Worthless. Customer Loyalty is Priceless. In it, Jeffrey has a lot of simple, direct strategies to build customer loyalty. I have included a link below if you’d like to purchase this book. (Full disclosure, I am an Amazon Affiliate). Then there’s practice. You can start now. We are all involved in situations every day where we can strive to make sure those we come in contact with are pleased with the results. As I said before, this isn’t a skill it’s a lifestyle. Start today to put the other person first. You’ll be stunned at the results. Why are Social styles important? In my previous posts on Social Styles, I have stressed the importance of understanding these styles. Your ability to communicate with these different styles of people will make a huge difference in the profits at your bottom line. Today, I want to discuss the last of the 4 Social Styles, the Amiable. 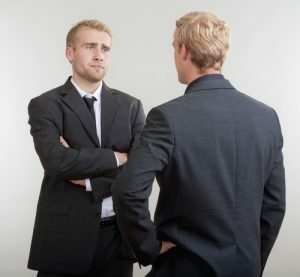 What is the Amiable Social Style? Amiable are, well…amiable. They are very people and question oriented. They are easy to get along with. They are friendly listeners who enjoy personal contact. They place a high priority on getting along with others. Amiable have soft, pleasant voices. Their speech is slow. They have open and eager facial expressions. They take time to establish relationships. They believe progress comes from people working together. They like to make progress at a slow, steady pace. Their natural tendencies are coaching and counseling. Their motivators are seeking approval, being included as part of a group or team, and having a positive impact on others. Amiables have much in common with Analyticals and Expressives, but are diametrically opposed to Drivers. What does the dialogue of an Amiable sound like? Remember that Amiables are ask directed. This means you will need to ask a lot of questions. You have to be patient. Amiables want to build relationships first. They may not seem concerned with the time spent or deadlines. They want you to show them personal support. 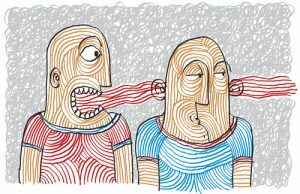 Give plenty of verbal and non-verbal feedback. They are interested in questions relating to long-term goals. How do you approach an Amiable? The good news here is Amiables are easy to approach. They are very open and friendly. Ask questions about their personal goals. Keep a slow, steady pace. Remember people come first. Don’t try to promote your agenda as revolutionary. Amiables like things with a proven foundation. Don’t rush your close. Let them come to their own conclusion. The main take away from this brief outline of the 4 social styles is the need for you to learn to be flexible. Remember Stephen Covey. “First seek to understand, then be understood.” Seek to understand the way your prospect communicates with the world. You will then open the door to show your prospect how you can fulfill his needs. What I have presented in these posts has been the barest of outlines of these Social Styles. To learn much, much more, I strongly urge you to click on the link below to buy Larry Wilson’s terrific book. This is the 4th post in the series on Social Styles. In my previous posts, we discussed how essential understanding these styles is to building trust with prospects, customers, clients, employees, and partners. Your success depends on these relationships. Today I want to discuss the Analytical Social Style. 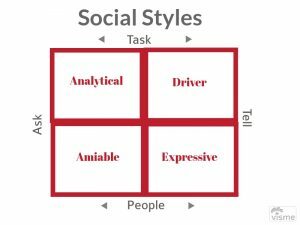 What is the Analytical Social Style? The Analytical Social style is the most easily described and may be the most misunderstood of all the styles. Think of a scientist, an engineer, or an accountant. Analyticals are totally task focused and will ask a lot of questions. They are fact gatherers and number crunchers. They want to make sure they have all the information before they make a decision. This tendency sometimes makes them seem indecisive because there is always more to know. They are reserved. Their speech is proper, formal and deliberate. They make few gestures. They are good listeners. They take the time to develop personal relationships. They are excellent planners and organizers. Analytical tend to move slowly and with precision. They tend to think the process of reaching a decision is as important as the decision itself. Their goals are making the right decision in the right way. They want to enhance their reputation as a technical expert. If you try to move them too quickly, it will make them very uncomfortable and may damage the relationship. Analyticals have much in common with Drivers and Amiables. As you can see from the grid, they are diametrically opposed to Expressives. What is dialogue with an Analytical like? They want flexibility. Give them time to consider alternatives to what you present. Give them facts supported by data. Listen carefully and take notes. Give them time to finish and ask follow up questions. Offer confirmation of what you bring to the relationship. How do you approach an Analytical? Approaching an Analytical may seem difficult as they often appear remote. But, doing a little homework will smooth the way. Do some research before you go. Find out as much about their situation as you can. Don’t engage in a lot of small talk in the beginning. Support your proposals with a lot of facts and figures. The more data the better. As business owners, you will be dealing with all these Social Styles. Understanding the ways to engage them will deliver amazing results in the form of profits on your bottom line. What is the biggest challenge facing small business owners today? “How do I compete against the big guys?” Here’s a simple two word answer: Customer Service. How many times have you heard it? I could never talk to a real person. I was on hold for 15 minutes and then got cut off. This is a huge need in the marketplace just waiting to be filled. And…guess what? People are willing to pay for it. According to an Experience Impact Report by Harris Interactive/Right Now in 2010, 9 out of 10 U.S. Consumers surveyed would pay more to ensure a positive customer experience. Tapping into this unmet need does require you, as a small business owner, to adopt a certain mindset. I’m going to quote Michael Connelly’s hero, Detective Harry Bosch here, “Either everyone counts, or nobody counts.” This means there is no deal too small, no request too unreasonable. Your goal is to say, “How can I help?” and then try to provide a solution. I’ve had people ignore me because a deal was too small. I have news for you. You never know where a deal is going to lead. When I was in mortgage banking, I had a nice couple come to me for a small house loan. The Realtor representing them was new in the business and didn’t understand financing very well. This couple owned a house free and clear. They had a contract on it and were going to put the entire proceeds from the sale into the new home they were purchasing. As I remember, the new loan was about $40,00 and I had no trouble getting them approved. A week before the closing, things began to go wrong. The buyers of my clients home couldn’t get their loan approved because of poor credit and were going to back out. Without the proceeds of that sale, my borrowers couldn’t go forward with the new purchase. My borrowers called me and explained they wanted to help the couple buying their old house if possible. Could I figure something out? I sat down with my borrowers and their Realtor. I showed them how they could take a small equity line on their existing home and use it as the down payment on the new home. Then I showed their Realtor how to write a lease-option agreement on the old home with a purchase date 3 years down the road. This meant the purchasers of the old home had 3 years to straighten out their credit. My borrowers would have three years of rental income. They could use this toward the payments on the new home and pay their loan down when the deal finally closed. The result? I turned a small loan into a bigger one. My borrowers were happy. They referred 4 of their friends who were buying or refinancing to me. The Realtor starting giving me first shot at all her business. My point? Ya just never know. Now, I know, we can’t help everyone. But…we can try to make them happy even if we can’t help them. If you can’t solve their problem say so. And, tell them why. Then try to refer them to someone who might be able to help. Vince Lombardi, the famous coach of the World Champion Green Bay Packers, would start each new season by standing in front of his players, raising a football in his hand, and saying, “Gentlemen, this is a football.” He would then proceed begin practicing the most basic blocking, tackling, running, and passing drills. His message? The basics count more than anything else. Here are 4 basic rules of customer service. Follow these and you will be richly rewarded. Rule 1. Treat everyone you meet as though they were your highest paying client or customer. You never know. They might turn out to be just that. Rule 2. Answer your phone calls. Some years ago, I worked for a medium sized commercial bank. They had a rule called “The Sunset Rule.” This meant if you received a phone call from a customer before 4 PM, you were to call that customer back by sunset the same day. Even if all you did was call them back and say, “I’m working on your issue, and I don’t have an answer for you yet. I should be able to let you know by_______.” That customer knew they had been heard. That bank had the highest customer service ratings of any financial institution in town. Which way do you want people to remember you? Rule 3. When you tell someone you’ll do something by a time certain, do it. Better yet, do it before it’s due. Why is that so hard? I can’t tell you how many times I’ve had to call people and say, “Where’s the thing you promised me last week.” When you don’t deliver on time, you’re telling your customer they aren’t important to you. If you can’t deliver as promised, call the customer on the phone. This is crucial. Do not email, do not text. Do not leave a voice mail (unless you are asking them to call you back). Speak to them directly and say, “I’m sorry, I’ve run into an issue and have to move the delivery date to X.” The customer may not be happy, but they’ll know where they stand and that you cared enough to let them know. Rule 4. When you make an appointment, show up on time. When I was in the Navy, we used to go by Navy time. That meant if you were due to be somewhere at 2:00 PM, you showed up at 1:45. No excuses. If you showed at 2:00, you were late. If you can’t be there on time, call or text. Whose time is more important, yours or your prospects? Think these simple things aren’t important? Think again. According to the American Express Survey of 2011, 78% of consumers surveyed have bailed on a transaction, or not made an intended purchase because of a bad service experience. Today it is possible for you to reach millions of people on the internet. But, you still build solid business relationships one customer at a time. As a small business owner, you face competition that is bigger, better funded, and offering cheaper prices. It seems as though it’s David against Goliath. But you can beat Goliath every time with superior customer service. As small business owners, we are all worried about going up against the “big guys”. Great customer service is the best way to out perform your competition every time. Here’s a great post telling you how. It’s not hard to keep customers happy, even though we all know from bitter experience that few companies get it right. All that’s needed is to put their needs at the heart of everything you do. Following these five simple steps will help. Engage with your customers at every opportunity. Communication is vital because your customers want to feel valued and respected. They’re also looking for peace of mind that they can trust you will deliver what you promise. Sign up for free to gain access to best practice resources, expert advice, live Q&As and entrepreneur blogs. • Communicating regularly with your customers to understand their changing needs. • Conducting regular customer feedback surveys so you get an honest assessment of your business from the people that matter. • Monitoring the wider economy and analysing how changes will impact your customers. • Tracking your competitors so you understand where you are in the market and how you can differentiate. There’s no point listening to customers if you don’t then give them what they want. One size does not fit all, particularly in a tough economy, and you have to be able to cater for most budgets. Put systems in place that enable your staff to work within a framework, but also give them enough flexibility to offer bespoke packages. This could be, for example, a pay monthly option, or a rebate agreement, which pays a refund to clients when the average number of service visits are not required. You are only as good as your weakest member of staff, so you need to hire carefully. It doesn’t matter what the management team promise, you will only deliver when the people at the sharp end are doing their jobs well. At GRITIT, we’re not focused on a candidate’s qualifications or skills because our comprehensive training programme will teach them. Instead we hire people for their attitude, which is far harder to teach. Those with the right attitude are also often the most willing to learn. In our business, operations staff work under the most extreme conditions, are on call 24 hours a day and they never let our clients down. In fact, they often go beyond the call of duty: this may involve spending extra time, for example, clearing snow that is a potential hazard from areas of a site that are not part of our contract. 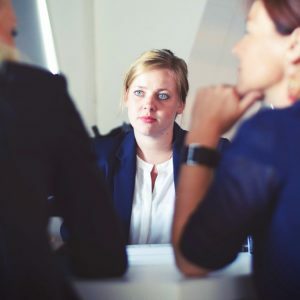 Even if employees join with the right attitude, they may soon become disillusioned if you don’t involve them in your decisions and give them the opportunity to develop. • Mentoring: encourage staff members at all levels to mentor newer team members. Not only does it give them pride and drive to unlock other people’s talents, it develops stronger teams. • Training: put a comprehensive training programme in place so that staff can see how their development will progress step by step. • Additional opportunities: use regular appraisals to identify other opportunities which will broaden your employees’ skills and add value for your customers. • Internal awards: public recognition when a member of staff has gone over and above for your clients will encourage others to do the same. Investment in staff is vital, but to be able to offer the best in customer service, you must also invest in the best equipment and systems. If you don’t, then you’re asking your staff to keep customers satisfied with one hand tied behind their backs. Finding the right systems for your business is vital. If you don’t have the skills internally consider outsourcing or recruiting an expert. You’ll need to spend time working out exactly what you need technology to do to support every aspect of your business and then develop a system that’s customised to your needs. We’ve invested in a pioneering management platform that enables us, among other things, to communicate instantly and effectively with customers and the operations teams, and track vehicles and operators in real-time. Importantly, we can utilise the most up-to-date weather forecasting services and automatically, via weather forecasts, trigger gritting and snow clearance services. These innovations undoubtedly help our staff to deliver an exceptional service. Alastair Kight is the managing director of GRITIT, the winter risk management specialists. This content is brought to you by Guardian Professional. To receive more like this you can become a member of the Small Business Network here. We’d love to hear your views and thoughts in the comments but please remember not to disclose personal identifiable details.